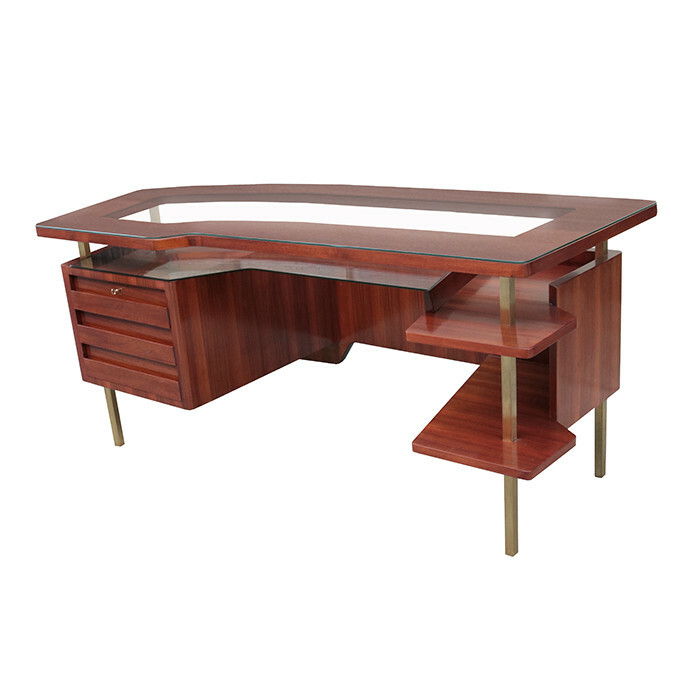 An Italian Modernist desk. Walnut with patinated brass legs, a glass top and lower tier glass shelf. Dimensions: H:31 W:72 D:32 Inches.